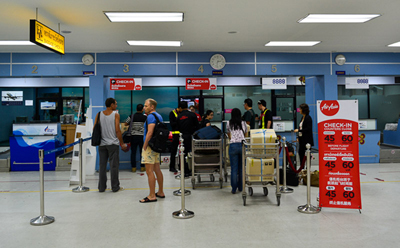 Studies and discussions continue on the role of U-Tapao airport, the nearest airport to Pattaya and resorts along the coastline of Rayong province. Thailand’s deputy prime minister, Somkid Chatusripitak, chaired a meeting, Monday, with the Eastern Economic Corridor (EEC) management committee to follow up what has been achieved on the proposed project to develop U-Tapao airport. Under the jurisdiction of the Thai Royal Navy, U-Tapao is the third commercial airport in central Thailand alongside Bangkok’s Don Mueang and Suvarnabhumi airports. U-Tapao airport stands 130 km south of Suvarnahbumi airport while Don Mueang is 50 km to the northeast on the edge of the Thai capital. The long-term plan involves establishing a fast electric train network linking all three airports and using them as connected gateways that could cater to airline growth over the next 20 years. It would place Thailand in the enviable position of having three international gateways all within easy reach of the eastern seaboard and Bangkok, where most of the country’s industrialisation is taking place. The deputy premier said after the meeting that the EEC policy committee, chaired by Prime Minister Prayut Chan-o-cha, would consider declaring U-Tapao airport a 6,500-Rai EEC promotion zone, which would be regarded as a key centre to develop eastern seaboard aviation including aircraft maintenance, an air cargo centre and commercial flights linking all major destinations in Asia. Another project under consideration is the Bangkok-Rayong high-speed train that would connect Don Mueang, Suvarnabhumi and U-Tapao airports and elevate the country’s position as a regional aviation hub, said Somkid. The EEC policy committee will meet next on 5 April. Minister of Industry Uttama Savanayana, in his capacity as the chairman of the EEC management committee, said the details of an agreement on the development of the U-Tapao airport would be completed within three to six months and public hearings would likely take place, this year, on the entire development project. As for the construction of the Digital Park in Chon Buri province, the minister said THB68 billion would be spent on construction of the park, which would include an electric train project.